Blizzard's Mike Morhaime shares his thoughts on Diablo III's launch, auction house, and always-online requirement. Blizzard is in a strange position when it comes to Diablo III. On the one hand, it's looking to be one of the biggest, if not the biggest, game launches of 2012. On the other hand, between the mandatory online connection and various patch problems, it's greatly frustrated even loyal players. Now, two months after launch, Blizzard CEO Mike Morhaime has posted an open letter on the Battle.net forums acknowledging the myriad of difficulties while explaining the various decisions Blizzard made behind-the-scenes. "The launch week of Diablo III was memorable for many reasons -- some positive, and some not so positive," Morhaime wrote. "We were thrilled that Diablo III had the biggest PC-game launch ever, surpassing the lifetime sales of [World of Warcraft: Cataclysm] (the previous record holder for biggest PC-game launch) in a matter of weeks. We've been floored by the response. However, the launch had many challenges as well." The letter is very comprehensive, but deals specifically with three key issues: Diablo III's launch, the auction house, and the always-connected experience. Regarding the launch, Morhaime reiterates that Blizzard simply wasn't prepared for the enormous demand for the game across multiple regions. "For Diablo III, we looked at historical sales for Blizzard games and other top-selling PC games and watched preorder numbers. We even upped our estimates to ensure we had additional capacity, or so we thought. In the end, it just wasn't enough, and that is something we will work hard to conquer for future releases." Morhaime also adds that in the rush to fix major problems that occurred at launch, various smaller bugs appeared that took additional time to fix. "Rather than address every subject individually, I'll just say that even as we work to address or resolve current issues, it's always possible that further issues will crop up." When it comes to the new Diablo III auction house, Morhaime explains that the auction house isn't about making extra cash for Blizzard, but about maintaining a centralized in-game location where players who want to buy items can do so, without turning to questionable third-party sources. "Regarding the real-money auction house," Morhaime explains, "our primary goal for including this in the game was to provide convenience and peace of mind for those players who might otherwise turn to third-party services to buy items. Black market trading sites can put accounts at risk and create many customer service challenges." Morhaime added that Blizzard will use player feedback to improve auction house features, while ensuring that Diablo III's overall gameplay doesn't make the auction house mandatory. Of course the biggest issue when it comes to Diablo III always was the mandatory internet connection, which Morhaime spent a significant portion of the letter discussing. 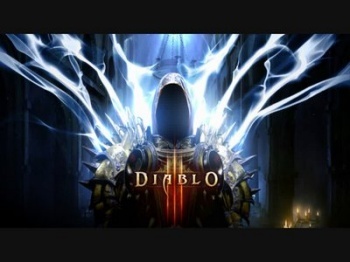 "I fully understand the desire to play Diablo III offline," Morhaime said, "however, Diablo III was designed from the beginning to be an online game that can be enjoyed with friends, and the always-online requirement is the best way for us to support that design. The effectiveness of the online elements -- including the friends list and cross-game communication; co-op matchmaking; persistent characters that you can use by yourself, with others, and in PvP; and some of our customer support, service, and security components -- is tied directly to the online nature of the game." Morhaime dismissed the notion that Diablo III's online-only state is solely about copy-protection, but that keeping the game online is more effective than allowing for offline options. Whatever one's feelings on Diablo III's launch and online state and launch may be, it is refreshing to see developers interact directly with players. The user response in the Battle.net thread so far is largely positive, thanks in no small part to additional promises from Morhaime to include class improvements and new endgame systems in upcoming patches.